It’s a rare treat! 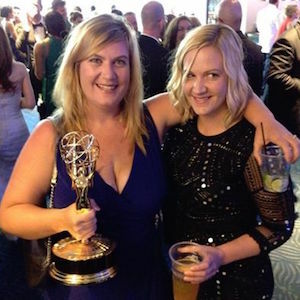 The ladies join sisters/coworkers Wendy Molyneux (@WendyMolyneux) and Lizzie (@LizzieMolyneux) at the Bobs Burgers offices to chat about how NOT woke the Smurfs are, Christmas newsletters, and pranks they play on their kids. The ladies also debate being a Linda vs. a Gail, the merits of peanut M&Ms, and nut milk vs nut juice. They answer a lady problem about how to handle your daughter’s bully. Finally get the support to quit smoking with Zero. See if you qualify and get more than 50% off your first month at QuitWithZero.com/lady. Get a pair of MeUndies for your loved one (or yourself) for 15% off and free shipping by going to MeUndies.com/L2L. Looking to lose weight? Try a trial of Noom at Noom.com/Lady to start on your path to life-changing results. Get 15% off your first purchase of Third Love Bras at ThirdLove.com/Lady.